Shireen Ghorbani hails from Bismarck, North Dakota, but has been living in Utah since moving here to pursue a master’s degree at the University of Utah. Now a communications professional in the in the facilities management department at the U, Ghorbani drew national attention to the state when she appeared on the cover of TIME Magazine as one of the record numbers of women running for Congress in the United States. Though Ghorbani gained a majority of votes in Salt Lake County, she was not successful in unseating Rep. Chris Stewart in Utah’s Second Congressional District during last year’s election. Her determination to serve, however, did not stop there. “When you spend as much time as I did, talking to voters, standing in the community, asking people what they care about and what they’re hoping to see from their elected officials, it’s really hard to walk away, just because you didn’t win,” the former congressional candidate said to The Daily Utah Chronicle during an interview. Since then, the U employee came close to winning the race to fill the Salt Lake County mayoral seat vacated by Rep. Ben McAdams. She lost to Jenny Wilson by just 77 votes but ultimately succeeded in a third campaign to fill the council’s county at-large seat vacated by Wilson. 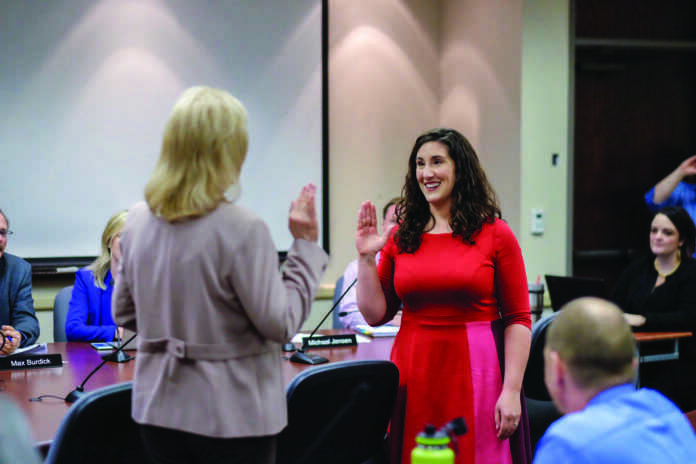 She was sworn in and took her place on the council on Feb. 26. The now-councilwoman is connected to Iranian culture through her father. Her parents met while her mother, Daphne Ghorbani, was teaching English in Tehran. “My mom grew up in the West, but it wasn’t wild enough for her,” said Ghorbani, joking while discussing her mother’s decision to teach in a foreign country ravished by the political turmoil that ultimately led to the Iranian revolution of the late 70s. She said her parents “met, fell in love and began an incredible romance while a revolution was breaking out in the streets.” The couple was torn apart when Ghorbani’s mother was evacuated from the country, but through sheer force of determination they managed to reconnect. Ghorbani’s father was later able to join her mother in the U.S., and the couple was wed in the front room of her family’s farmhouse on the North Dakota-Montana border. “I was the only kid in my class who had a parent who was a non-native English speaker,” she said. While her father was around, the family was able to form friendships with the few other Iranian families in the area. However, her father struggled with alcohol addiction and ultimately ended up leaving when she was only six. When her dad left, those relationships were severed along with her connection to her Iranian identity, which, she explained, did not become a big part of her life again until the events of Sept. 11. Ghorbani said that it was the rise of Islamophobia in the U.S. following the “axis of evil” speech given by former U.S. president George Bush that drew her interest back to her roots. Because Iran was identified in that speech along with Iraq and other nations, Ghorbani explained that life became difficult for many Muslim-Americans or even Americans that had family ties to those nations like she did. Ghorbani said that thinking about “what we could be doing as Americans to engage in diplomacy and to better respond when we are faced with terrorism or violence” as well as what she could “personally do to live closer to [her] own values of diplomacy and peacemaking as opposed to fearmongering and war” was what lead her to join the Peace Corps immediately after college. Ghorbani recounted one particularly vivid memory she still has of the visit with her grandmother. “I remember the first time I saw her praying,” she said. Her grandmother’s hands were cupped while she worshiped, and Ghorbani said laughing, “I thought she was asking for something.” So she said, she went about the house collecting small objects such as beads and filled her grandmother’s hands with them. “I remember her so kindly thanking me for bringing her things,” said Ghorbani. The apple doesn’t seem to have fallen far from the tree. Just like her mother, Ghorbani also left the “Wild West” of the U.S. to volunteer with the Peace Corps in Moldova. Similarly to her mother, the decision to leave the country also ultimately led to a wedding. “The story of our engagement is actually the story of filling out the Peace Corps application,” Ghorbani said, referring to her marriage to Nicholas Steffens, who currently teaches English at Judge Memorial High School. Ghorbani said she and Steffens started dating her freshman year in college. Throughout her college career, it had been her intention to apply to the Peace Corps, and when Steffens told her during her junior year that he’d like to do the same, she encouraged it. The pair went in to fill out the application together and when asked to select between the categories of married, single or engaged, they decided to choose engaged. 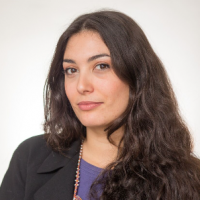 Ghorbani said she believes her experience as a communications professional in facilities management at the U will serve her well in the Salt Lake County at-large seat on the council. The U professional explained that her job on campus involves a lot of “strategic planning” and even focus groups with students to determine how to cater to new construction and projects to their needs. This process, she said, was employed when planning construction for the campus’ new Gardner Commons building. During focus groups, she discovered that “students wanted more spaces where they could work collaboratively.” These discussions, she said, informed the decision to create cubby areas and break rooms in the building. The councilwoman said she hopes to also bring the commitment towards sustainability that she has had in her work on campus to her duties as a public servant. “There’s a real opportunity to be a leader at the county level on sustainability and on initiatives to help clean up our air,” Ghorbani said. When asked about plans for the future, Ghorbani said she hopes to continue to remain in service and said she will run again when the vacated seat she has filled comes up for re-election in 2020. If she wins, she will be making a six-year commitment the to Salt Lake County Council. Although she was always politically aware and active in communication with her representatives, she never imagined that she would have a career in politics. It was the tragedy of losing her mother to pancreatic cancer, she said, that led her to run. Ghorbani said that while she was in the hospital with her mom, she heard the phone calls of families dealing with debt collectors while caring for a sick loved one. The former congressional candidate said that after realizing how many families struggled to access healthcare, she became deeply disturbed by Rep. Chris Stewart’s stance on Obamacare. While Stewart repeatedly voted against the ACA healthcare act, Ghorbani said, “He never came to the table with solutions to reduce the cost of healthcare or to increase access.” This inspired her to run against him.